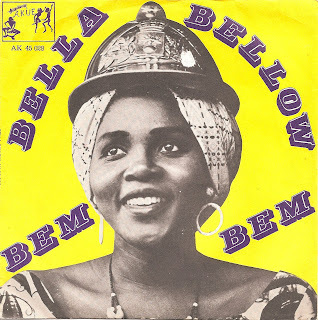 Here is a record by the Togolese diva Bella Bellow. 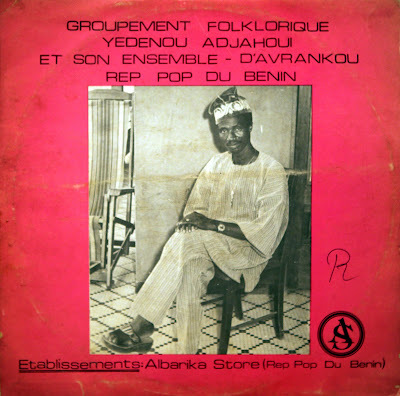 It is a french pressing from 1969 released on the label "Akue". The orchestration is from a french musician, Christian Joudinaud. 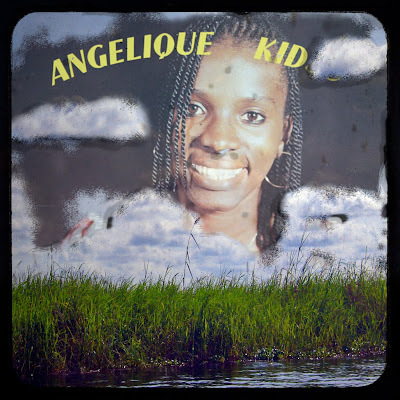 Voici un disque de la diva Togolaise Bella Bellow. Ce vinyle, de 1969, est sorti sur un label français: "Akue". Enfin l'orchestration est aussi faite par un français: Christian Jourdinaud. 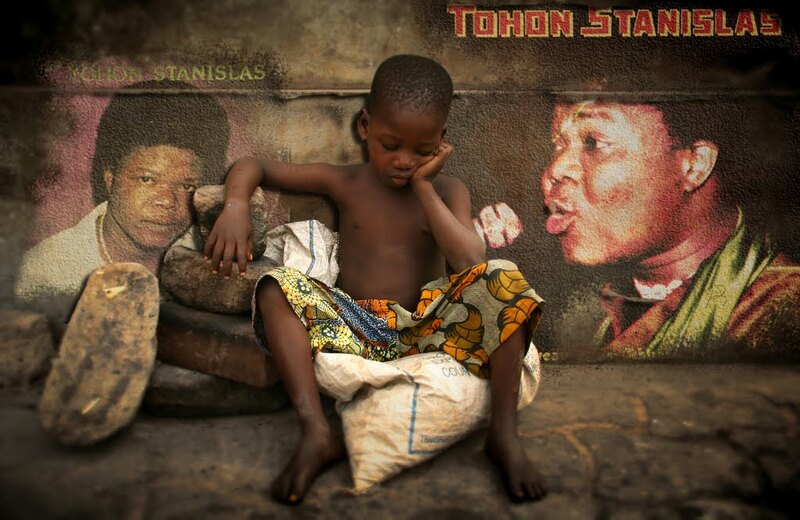 Stanislas Tohon modernized the traditional rhythm Tchinkoume and called it "Tchink System". This album originally recorded in 1979 on Sacodis, was also released on Stan's own label. His music is powerfull, all titles emit an energy coming from Tchinckoume rhythm but also because of Stan's exceptional musicians like his guitarist Dizi Mageco. 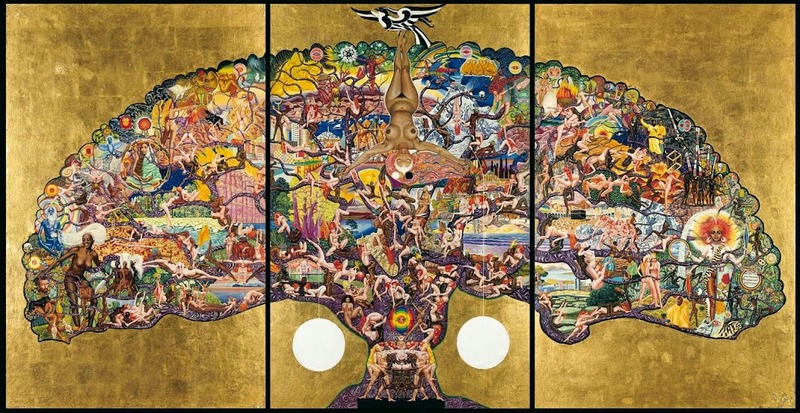 The sound is heavy and warrior like Tohon himself. Stanislas Tohon a modernisé le rythme traditionnel Tchinkoumé et l'a renomé le "Tchink System". 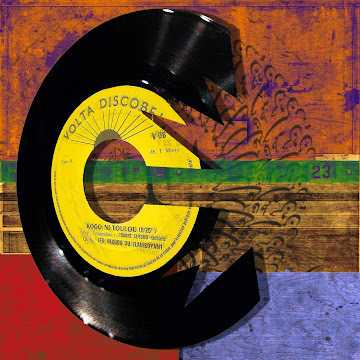 Cet album, enregistré initialement sur Sacodis en 1979, est sorti aussi sur le propre label de Stan. Je trouve que sa musique est vraiment puissante. Tous les morceaux dégagent une energie propre au Tchinckoumé mais aussi grâce aux musiciens exceptionnels de Stan comme son guitariste Dizi Mageco. Le son est lourd et guerrier à l'image de Tohon. 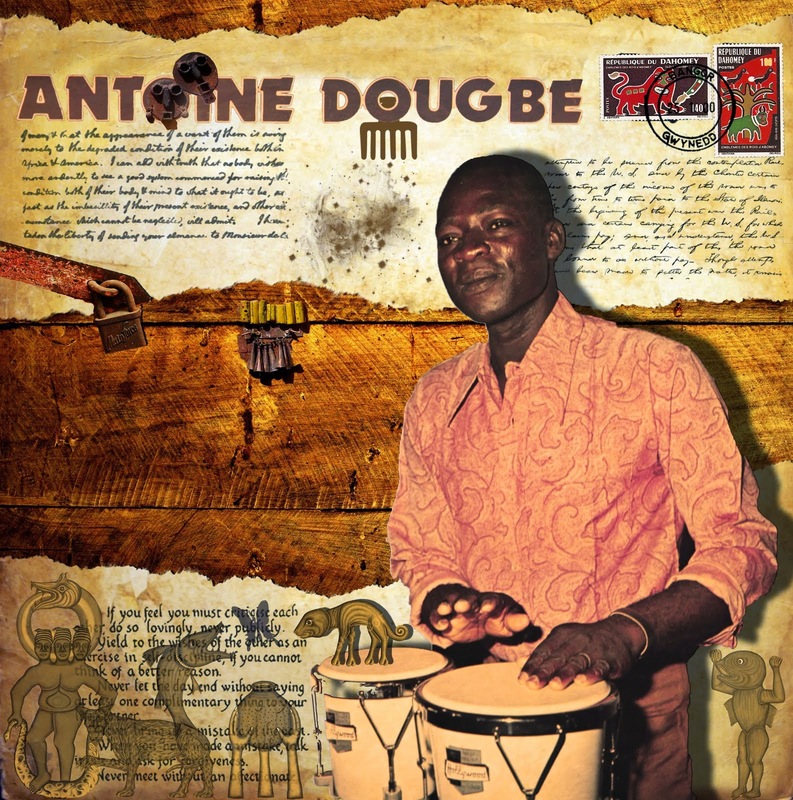 Alokpon is the the greatest singer and the king of traditional Tchinckoume rhythm, a rhythm from the center of Benin, known for its water drums and Gotta drum which are made out of calabash. The Gotta is the biggest calabash that is commonly beaten with a shoe sole. Its sound is heavy and deep. 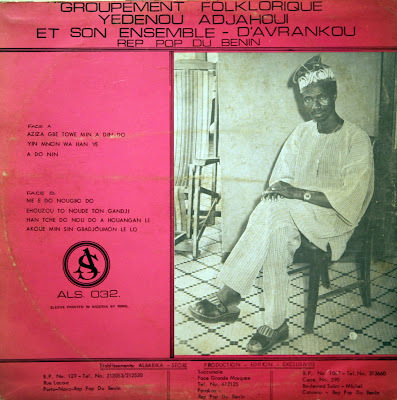 This 1970's recording in mono, number 11 from "Les Echos du Dahomey" is the first recording from Anatole Houndeffo called Alokpon. Alokpon est le plus grand chanteur du rythme traditionnel Tchinckoumé, un rythme du centre du Bénin, connu pour ses tambours aquatiques et son tambour Gotta qui sont faits de calebasses. Le Gotta est la plus grande calebasse, elle est couramment frappée avec une semelle de chaussure. Son son est lourd et profond. Ce vinyle numéro 11 de 1970, enregistré en mono par les Echos Sonores du Dahomey, est le premier enregistrement d'Anatole Houndeffo dit Alokpon. 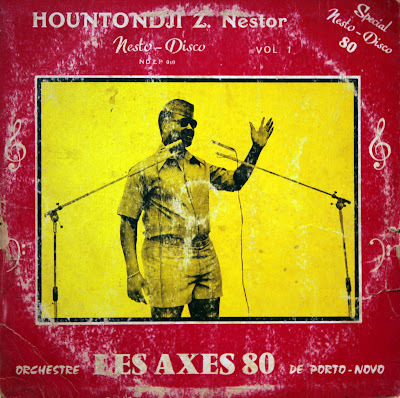 After Orchestra "Les Volcans", Nestor Hountondji recorded on his own label Nesto-Disco and with a new band: "Les Axes 80". This first solo album is rare and in very good shape. 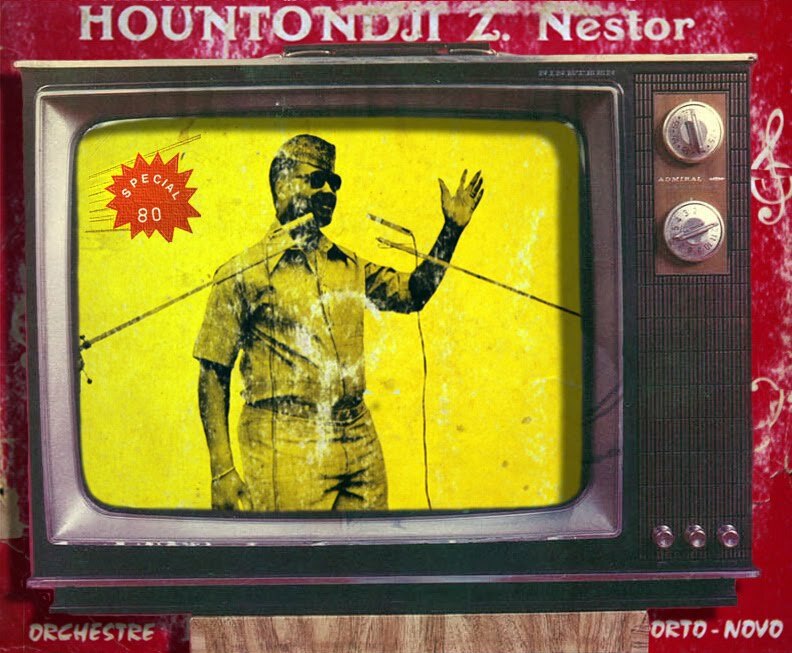 Après "Les Volcans", Nestor Hountondji enregistre sur son propre label Nesto-Disco et avec un nouvel orchestre: "Les Axes 80". Ce premier album solo est rare et en très bonne état. As you already know, I am not passionate and specialist about Congolese music. This albums interests me more because Black Santiago radiates music. 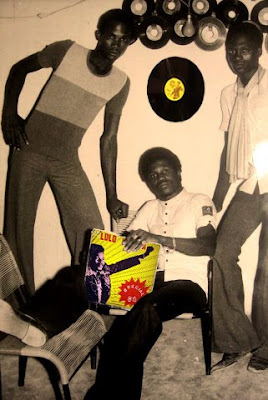 And yes, many Congolese are passed by Benin and the huge Ignace de Souza, head of the Black Santiago, was the most brilliant ambassador of Soukous music in Ghana and Ivory Coast. Benin and Congo met therefore in music. Comme vous savez déjà, je ne suis pas passioné et specialiste de musique Congolaise. Cet album m'intéresse plutôt parce que l'orchestre Black Santiago fait rayonner la musique. Et Oui, beaucoup de Congolais sont passés par le Bénin et le brillant Ignace de Souza, chef du Black Santiago, était le plus brillant ambassadeur de la musique Soukous au Ghana et en Côte d'Ivoire. 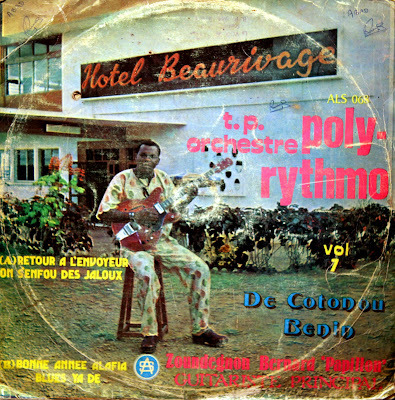 Le Bénin et le Congo devaient donc se rencontrer en musique. This is another album from Adjahoui on Albarika. It seems to have been recorded in 1975. I hope one day someone will translate his lyrics. Thus we will be able to know the poetry and the journalistic talent of Adjahoui. It was the oldest and most prolific orchestra in the Upper Volta. 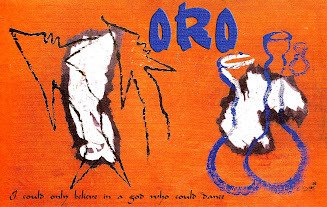 In the Latin-Mossi track "Nwendaramba" the singer points out that those who wear shoes can do what they like whereas the poor will always be pushed from pillar to post. In the final track, "M'baba Taram", the band open up the guitars for a song about a spoilt son who meets his comeuppance when he squanders his inheritance and is reduced to selling kebabs in the street. 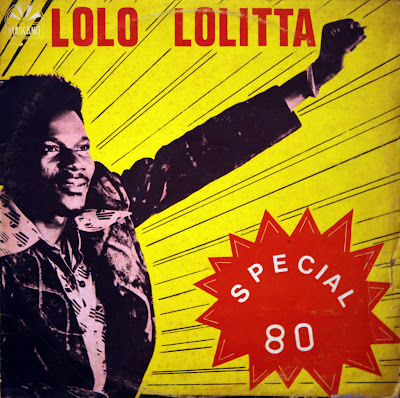 Super Volta were the key band for CVD, provinding most of the music for its two major singers, Amadou Ballake and Sandwidi Pierre. 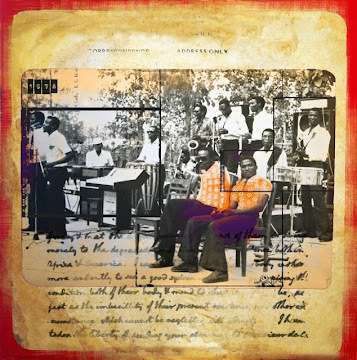 Alongside there work with them the band can be heard here with Cisse Abdoulaye on his composition "Son Magni", a complaint about a lazy sister. 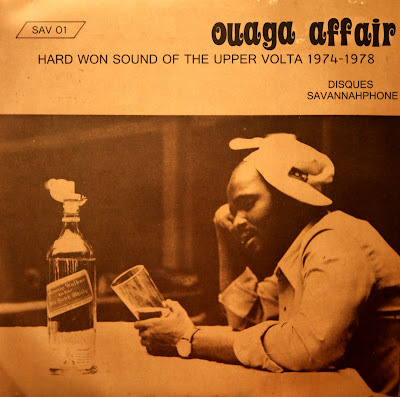 In song after song he dignified the vast rural majority of the Upper Volta whilst sparing the urban elite no quarter. 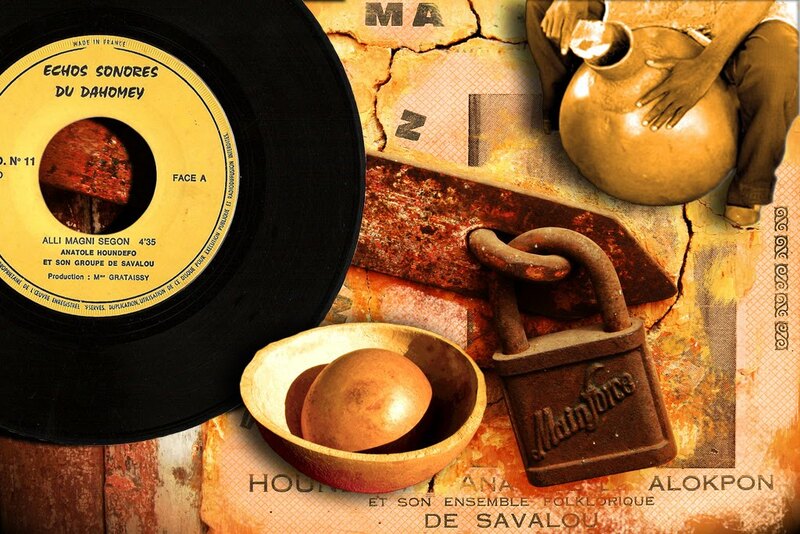 The first song of Sandwidi's songs included on thsi compilation, "Ouaga Affaires", recorded with Harmonie Voltaique, tells the story of a man leaving the countryside to meet his friend in the capital. 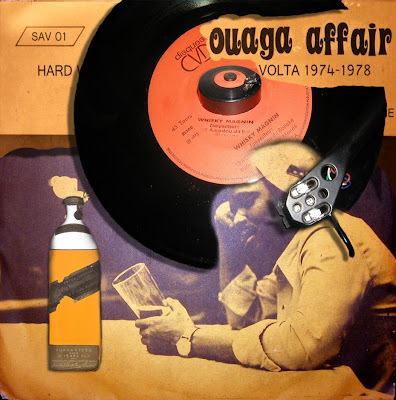 Disillusioned with the treatment of the rural majority by the urban middle class he launches into a catalogue of Ouaga's vices. 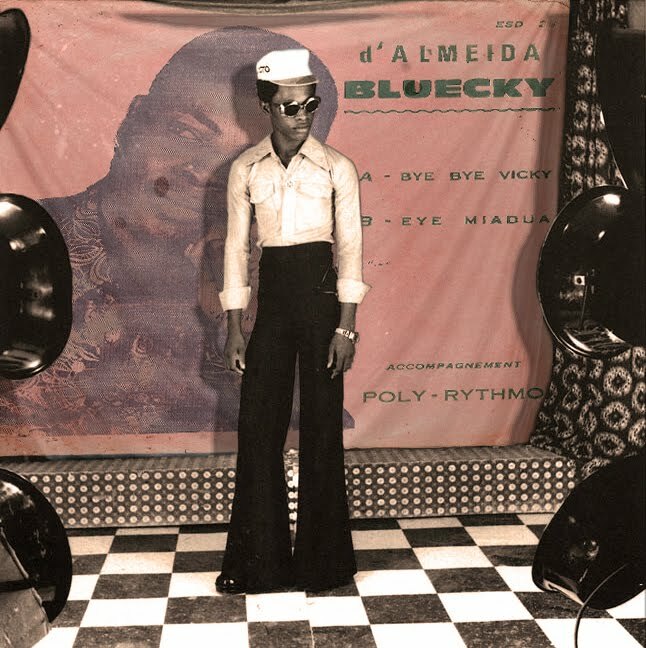 In "Yamb Ney Capitale" , recorded with Super Volta, Sandwidi tells the story of a man born in Ouagadougou who goes to work as a civil servant in a rural district. He returns to Ouaga for holiday and meets a woman in a bar. He takes her out for the night and she accompanies him back to his hotel. In the morning he 300 CFA as a present but she insists a night costs 1000 CFA and unles he pays she will report him to the police. In the song "Mam Ti Fou", against with Super Volta, Sandwidi is called a thief for standing beside a man's car, which prompts him to unleash an invective against his bourgeosie accuser. His unsparalleled voice was destined to make im a superstar in the orchestra Harmonie Voltaique. 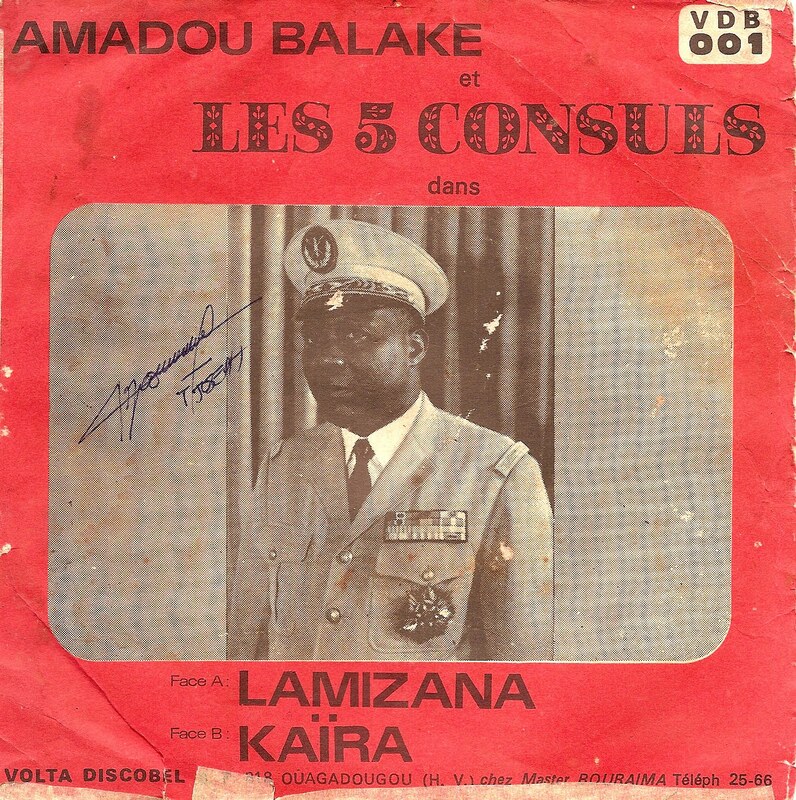 He quickly formed his own group, Les 5 Consuls, with the superb Mangue Konde on lead guitar. The band can be heard here with their excellent latin number "Baden Djougou". 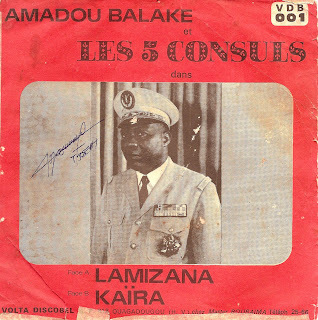 His best work, as a composer, would come after Les 5 Consuls disbanded and he teamed up with Super Mande of Côte d'Ivoire. 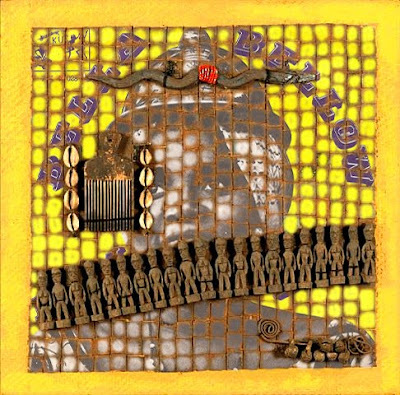 Super Mande's heavy rhythm section provided the ideal framework for Konde's guitar and the band can be heard her in full effect with the track "Touba". You can also listen to his fantastic album taht I posted HERE. 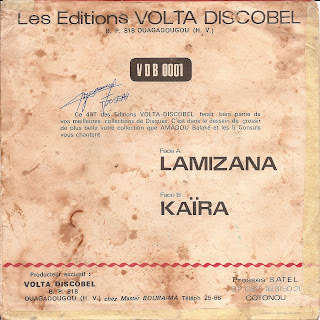 And also Supremes Kombemba Orchestra, Mamo Lagbema and Dafra Star. Angelique Kidjo was born in Cotonou, Benin. Her father is from the Fon people of Ouidah and her mother from the Yorouba people. By the time she was six, Kidjo was performing with her mother's theatre group, giving her an early appreciation for traditional music and dance. She started singing in her school band les Sphinx and found success as a teenager with her adaptation of Miriam Makeba's "Les Trois Z" which played on national radio. In 1981, She recorded hef first album "Pretty" with the Cameroonian producer Ekambi Brillant and her brother Oscar. The success of the album allowed het to travel all over West Africa. Angélique Kidjo est une chanteuse béninoise née en jullet 1960, quelques semaines avant l'indépendance de l'ex-Dahomey. Son père est un Fon de Ouidah et sa mère, Yorouba. Dès l'âge de six ans, elle intègre la troupe de théâtre de sa mère, ce qui naitre en elle le goût pour les musiques et les danses traditionnelles. 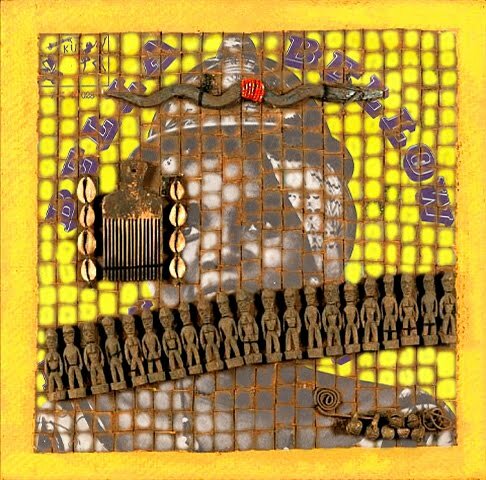 Elle commence à chanter au sein du groupe Les Sphinx et, adolescente, rencontre le succès grâce à son adaptation pour la radio nationale de la chanson de Miriam Makeba "Les Trois Z". 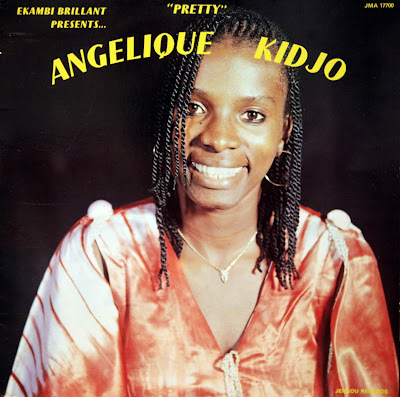 En 1981, Elle enregistre son premier album "Pretty" avec l'aide de son frère, le célèbre trompetiste Oscar Kidjo, et du producteur Camerounais Ekambi Brillant. 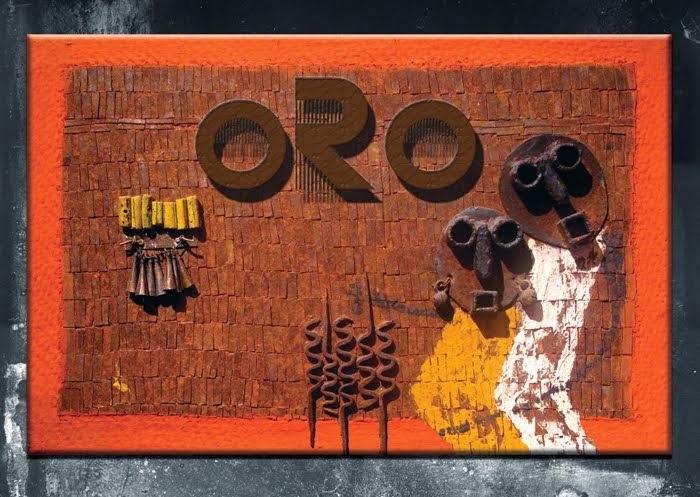 Le succès de cet album lui a permis de faire un grande tournée en Afrique de l'Ouest. 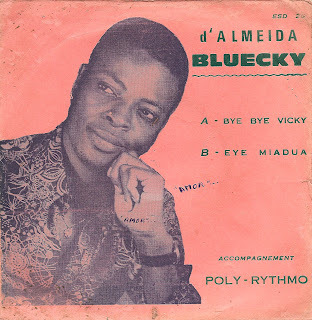 I am sorry to offer you a record from Poly-Rythmo with a poor quality sound but this volume from the "Almighty" deserves an historical listening. The cover picture has been taken in front of the hotel Beaurivage (beautiful shore) in Port-Novo, the historical capital. This hotel is one of the oldest of Benin and it is also called hotel "Beau-virage" (beautiful corner) because it is located in a beautiful corner... 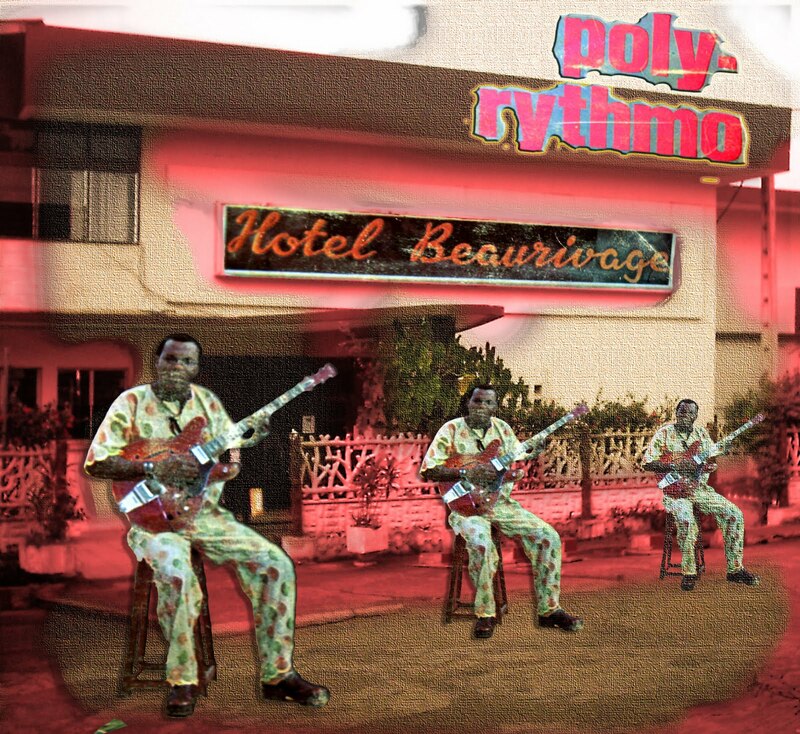 It has a splendid view over the river Ouémè and a place where many orchestras used to play like Poly-Rythmo. 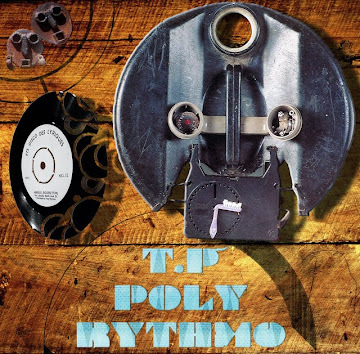 Je suis désolé de vous offrir ce disque de Poly-Rythmo de mauvaise qualité sonore mais ce volume du "Tou Puissant" mérite une écoute pour l'histoire. La photo de la pochette a été prise devant l'hôtel Beaurivage à Porto-Novo, la capitale historique du Bénin. Cet hôtel est l'un des plus vieux du pays et est comunément appelé hôtel "Beauvirage" car il est magnifiquement placé devant un beau virage qui surplombe le fleuve Ouémè. Beaucoup d'orchestres avaient pour habitude de jouer là tel que Poly-Ryhmo.